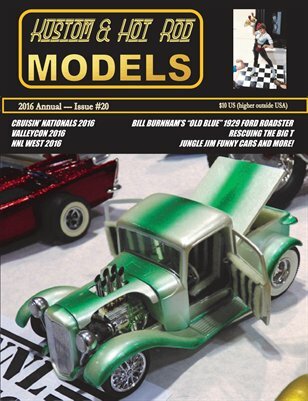 Here is the 2016 Kustom & Hot Rod Models Annual issue. You'll find events and kool models here the other mags don't cover. If they do, you usually see them here first. It's by modelers for modelers. If you love vintage style models, you'll probably love it! Most readers want the entire collection once they get one issue.